Home » Our Doctors » Carl Melnik, O.D. Dr. Carl Melnik is the founding doctor of optometry here at Granada Hills Optometry Center. He founded our practice in 1972. Dr. Melnik is a graduate of the Los Angeles College of Optometry. He has been an active member of the Granada Hills Community, serving as president on numerous boards such as the Granada Hills Chamber of Commerce, the Granada Hills Kiwanis, the Granada Hills Rotary Club. Dr. Melnik headed up the community improvement project of Veteran’s Park, the pride of Granada Hills. He has received many awards for his community service including a Lifetime Achievement Award from the Jaycees. 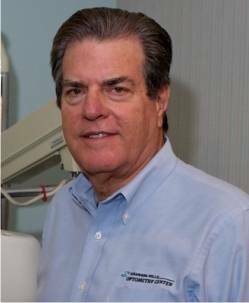 Dr. Melnik has also served as the President of the San Fernando Valley Optometric Society Board as well as being a member of the California and American Optometric Societies.